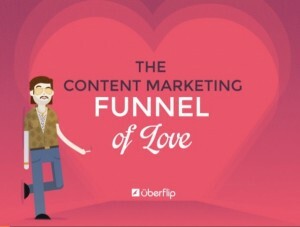 “The Content Marketing Funnel of Love”. 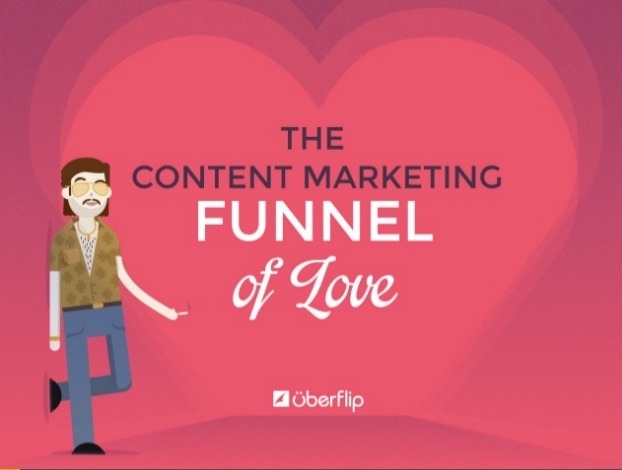 In the spirit of Valentine’s Day we share with you a great Slideshare presentation. This presentation is very representative of how many companies approach marketing. After all, with the advent of the internet, the consumer (B2B or B2C) has become very product sophisticated. Potential customers know so much more about your product or service even before coming into direct contact with your sales people. Back in the day, the sales person would provide all of the knowledge the customer needed through a face call and a stack of brochures. But not today. The potential customer doesn’t want to talk to you until they have done their level of due diligence. The customer has the ability to research your offerings and compare your offerings to your favorite competitor. The prospect has the ability to determine what’s important to them and act on it, whether it’s price, quality, convenience or any number of other reasons to buy from you, or not. Although all companies are using the internet in business, many are not utilizing it effectively to attract and nurture customers. Many companies are still “old school”. You build it and they will come. Not true today. The current and effective way is to use educational/content-based marketing to drive Inbound traffic to your site and inspire these visitors to engage on a deeper level. Content marketing provides education that will help your prospective (and current) customer do their jobs better, smarter, faster, and by relaying that information, positions your company in a “soft-sell” style, as a resource. In addition to educational content, you might also consider providing the “fun” element to your marketing content, in the form of videos, challenges/games, engaging on a more personal level. Remember, it’s not about you….It’s about your customer. The customer’s mantra is WIIFM…What’s In It For Me? I have worked with companies who still think the right approach is “cold calling”. Cold calling is like meeting a guy or a girl for the first time and in the first five minutes you’re asking if they “will marry you”? Marry You…I Don’t Even Know You. Well, it’s no different in business. Cold calling is asking the customer to marry you without any courtship. They have absolutely no reason to marry you, they don’t know anything about you. This is where educational content delivered across various media (social pages, your website, YouTube, etc) comes into play. When you provide relevant educational content that helps the customer solve their problem, learn “How-to”, or saves them time or money, then you will raise awareness of your company/offerings and establish your company as the industry authority, thereby encouraging prospects to reach back out and get to know you. Marry You…I Don’t Know if I Even Like You. Whatever business you’re in, you have competitors. What makes you so different from your competitors? What is your differentiator? What is so unique about your business that makes a prospect want to become a customer of yours? Many companies tell me it’s their customer service that makes them different from their competitors. Well that’s what they all say. How do we measure that great customer service? Is it something that we can identify and put in a bottle and open that bottle of magic customer service when the next prospect makes an inquiry. If it is your customer service that’s different, figure out the specifics of that customer service and how it benefits the customer and make that a part of your product/service education. Marry You…I Don’t Know if I Trust You. Earning the trust of customers and prospects is the ultimate goal. Without the prospects trust, there is no sale. Without the customers trust, the life time value of the customer is shortened, dramatically. Learn what it means to identify your “ideal customer” and provide them with what they need to Know, Like and Trust you. Consider delivering relevant content on a consistent basis – educational content in the form of eBooks, webinars, white papers, newsletters, blogs, case studies and more…Determine your USP (unique selling proposition) or differentiator that has real value or customer benefit and turn it into a “Wow Factor”. So you say, where is the customer on-boarding? In the digital age of inbound/content marketing, today’s sophisticated prospect will make their buying decisions based on who, they Know, who they Like and most importantly, who they Trust. As mentioned in the “The Content Marketing Funnel of Love”, customer acquisition, like love, doesn’t always happen instantaneously, or the way you expect. Customers can come from anywhere, that’s what inbound marketing is all about. If your company needs help getting up to speed in the digital marketing age, send us a Valentine.